If making a bride’s dream come true is easy…why is falling in love so hard? Annie O’Leary’s life ended the day her baby died. But then she moved to Montana and found a purpose, a reason for waking up each morning. There’s something about Bozeman, something about the friends she’s made that keeps her feet firmly anchored to the ground and her heart in one piece. Dylan Bayliss is an Army veteran and security specialist. He’s lived his life on the edge and paid a higher price than most. He’s about to face his biggest fear and Annie is the only woman he trusts enough to help him. Annie will do just about anything for anyone, but she doesn’t know if she has the courage to do the one thing that could change her life forever. 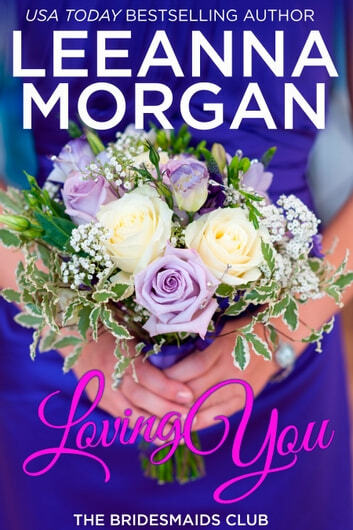 Loving You is the second book in The Bridesmaids Club series and can be read as a standalone. Each of Leeanna's series are linked so you can find out what happens to your favorite characters in other books. For information about new releases and giveaways, please visit leeannamorgan.com and sign up to my newsletter. Happy reading! Book 2 in the Bridesmaid series, this is a sweet romance.